The Mellieħa Local Council will be organising its annual event Christmas in Mellieħa. This will be organised from Friday 20th December 2013 until Wednesday 25th December 2013. This activity will be organised in aid of l-Istrina, where all the proceeds from the sales will be donated to this just cause. The opening of this activity will be organised in the Manikata Church where a vocal and instrumental concert will be organised on 20th December. For the first time, part of this activity will be organised in Manikata, where all the community will come together during this Christmas season. 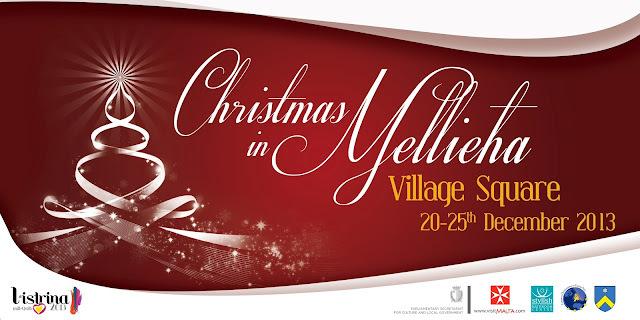 From Saturday 21st December the activities will be organised in the Mellieħa Parish Square under a big tent which will be set up specifically for this activity. A variety of entertainment will be organised with the participation of the Mellieħa group MELBRASS, and the Choir of the Imperial Musical Society. On Sunday 22nd December the activity will be spread over a whole day, where everything will start with an event for the elderly with the participation of the folklore group SIMAR, followed by a Christmas party for the children and in the evening the show goes on. This evening will be full of entertainment with the participation of the dance & leisure studio Artemocion and a concert by the Mellieħa band JAMM, entitled Canzoni vs Songs. All those attending this activity and who are Italian and/or English fans are encouraged to wear their favourite team’s football kit and cheer on their favourite songs. On Monday 23rd December everyone is encouraged to attend under the tent in Mellieħa for another great evening with the participation of the Junior Choir & Orchestra of the Mellieħa Choir & Orchestra, the Big Friends Guggen Musik, Joe Grech (ex-New Cuorey) & Alice and the Big Band Brothers will be concluding the night. On Christmas Eve everyone is encouraged to attend for the last evening under the tent before the Midnight Mass. The traditional procession will be organised by the MUSEUM society, as well as the choir Vuċijiet Vittorjani and the Imperial Band will give a melodious concert. There will be various other attractions for all the family from singing to dancing, art exhibitions, crafts’ and cribs’ exhibitions, sales of books, pony rides, children’s area, live crib and sales of local produce. There will also be traditional food and drink being sold by the local NGOs which will be giving their input during this activity.